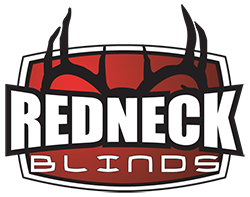 Exterior Size: 60" x 60" x 82"
Interior Size: 56" x 56" x 80"
Side & Back Windows: 36" x 14"
Door Windows: 18" x 9.5"
The industries first true multi-function hunting blind, the Redneck Trophy Tower 5X5 Crossover blind features 14" tall x 36" wide tinted tempered automotive glass windows that not only maximize visibility, but give the gun and crossbow hunter maximum room and maneuverability out of the window to get the perfect angle for any shot. The windows feature the industries tightest design using deluxe automotive window gaskets to keep the blinds dry and bug free. 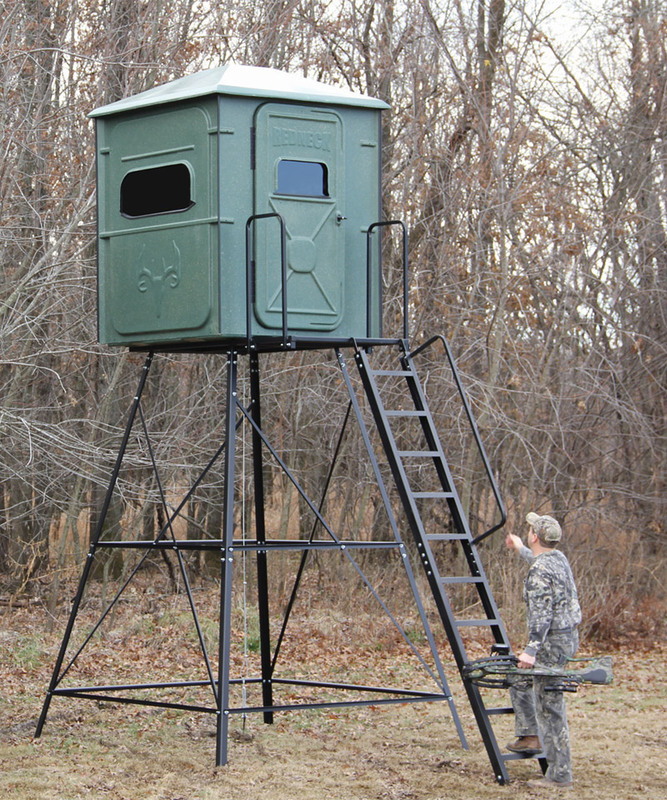 The blind is perfect for one hunter, but is spacious enough to accommodate two hunters. 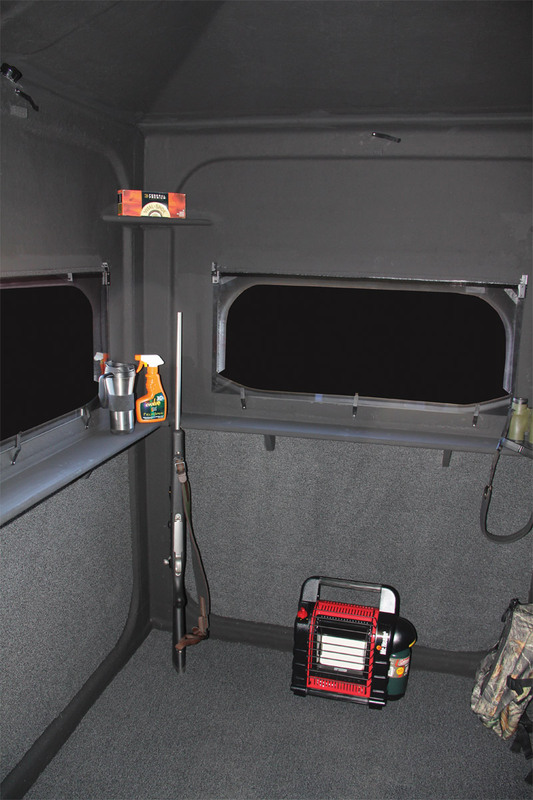 No details were spared when designing the interior of this blind, with wrap around shelving on three sides and four upper corner shelves, allowing a hunter to have all their accessories within easy reach. The carpeted lower walls and floor provide maximum comfort and sound control while on the lookout for your next trophy.